N-13 is a 0.95 acre lot in the Bella Vista neighborhood conveniently located near the paved road yet tucked far enough away for privacy. Enjoy steady breezes almost year-round. 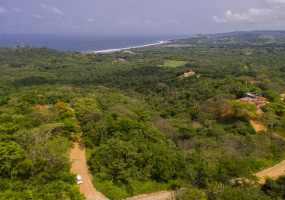 Wake each day to stunning ocean, mountain and valley views offering a wide variety of building opportunities.About the Bella Vista Neighborhood: Stunning coastal and mountain views abound from these large homesites. Casa Cumbre is a three bedroom, two and a half bath home filled with contemporary accents in a lush and tropical setting. Leather and granite are prevalent in the main living area and kitchen, along with iron accents and dark wood throughout. The home offers breathtaking views of both the ocean and the valley; a truly unique scene.